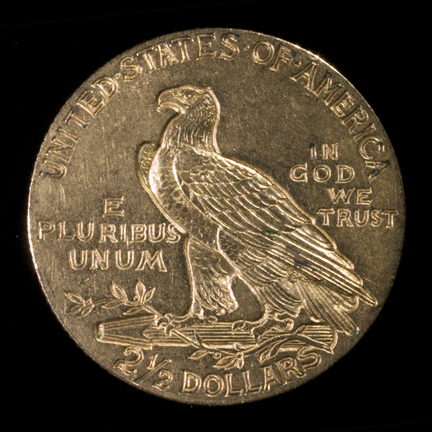 Quarter eagle gold coin (2 1/2 dollars), dated 1911. Images below document the relief sunken lower than the background plane (incuse) on both reverse and obverse. 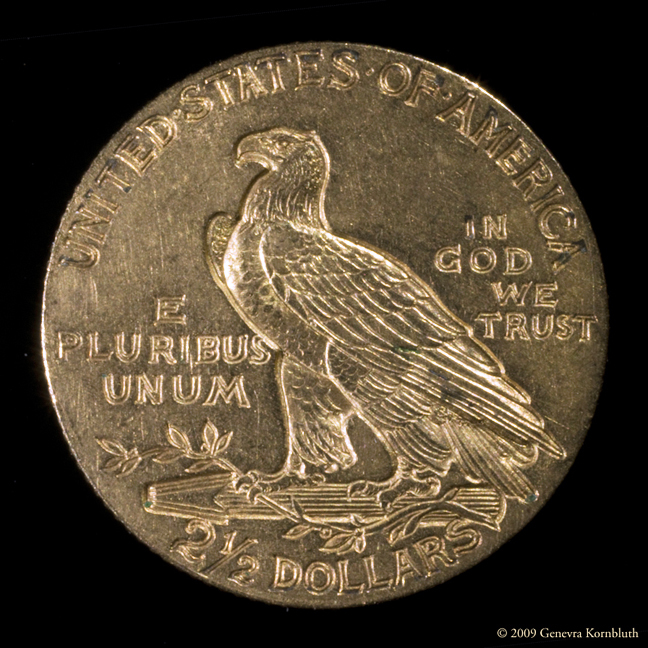 Details highlight the modeling of the eagle's head, and the date and artist's initials. Private collection.